The National Green Tribunal (NGT) has stayed the construction of projects between Agara and Bellandur lakes in Bengaluru, quashing their clearances and approval plans and imposing heavy penalties on them. The projects were being developed over an area of about 32 hectares on a wetland between the two lakes. The NGT judgment, delivered on May 7, 2016, has increased the buffer zone or no-construction zone around lakes and wetlands from 30 metres to 75 metres in the city. The court has also ordered Mantri Techzone Private Limited, the construction company, to demolish the structures already built and pay a fine of Rs 117.35 crore. The judgment was delivered in response to a public petition filed by Forward Foundation, a Bengaluru-based charitable organisation, in 2014 (see ‘Case timeline’). The organisation had submitted a 2013 study done by the Centre for Ecological Sciences, Indian Institute of Science, which showed that the wetland area between the two lakes had shrunk from 32.8 ha in 2007 to 5.95 ha in 2012. It also stated that the projects violated the Master Plan of 2015 as well as environmental guidelines. 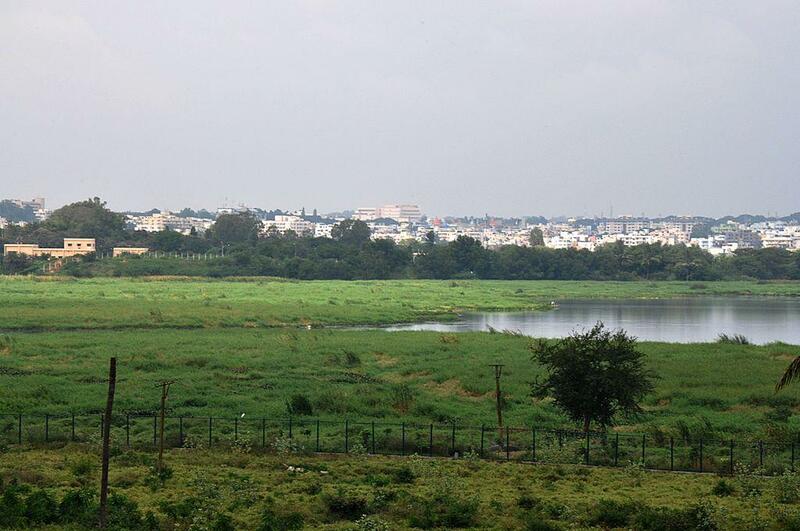 IISc scientist T V Ramachandra welcomed the judgment, saying that avoiding concretisation near lakes was an important measure to save Bengaluru’s lakes. The NGT judgment is being seen as a major victory for the cause of protection of the city’s natural environment. Bengaluru’s waterbodies are plagued by encroachment, loss of lake interconnectivity, removal of shoreline riparian vegetation and increasing pollution. 2012: Karnataka Industrial Areas Development Board (KIADB) sanctions “mixed use development project/building complex” on the wetland between Agara and Bellandur lakes. It includes the construction of hotels, residential complexes, malls and a Special Economic Zone (SEZ) park. Mantri Techzone Private Limited and Core Mind Software and Services Private Limited begin construction work. 2014: Forward Foundation files a public petition against the construction projects. April 16, 2015: NGT passes an interim order, staying the construction on the wetland. May 7, 2015: NGT penalises both builders for commencing construction before receiving clearances and cites the violation of environmental laws. Mantri Techzone Private Limited and Core Mind Software and Services Private Limited are ordered to pay Rs 117.35 crore and Rs 22.5 crore as penalty respectively, for "illegal and unauthorised" construction in an ecologically sensitive area. NGT constitutes an eight-member committee to inspect, validate and submit a report within three months. May 20, 2015: The Supreme Court stays the fines and gives the companies a week’s time to approach NGT with a review application. September 4, 2015: The committee report recommends immediate scrapping of the project and states that construction on wetlands is a major violation as the region is meant to be protected as “No Development Zone” under City Development Plan 2005 and City Development Plan 2015. May 7, 2016: NGT delivers a final judgment, staying the construction and ordering the structures to be demolished.